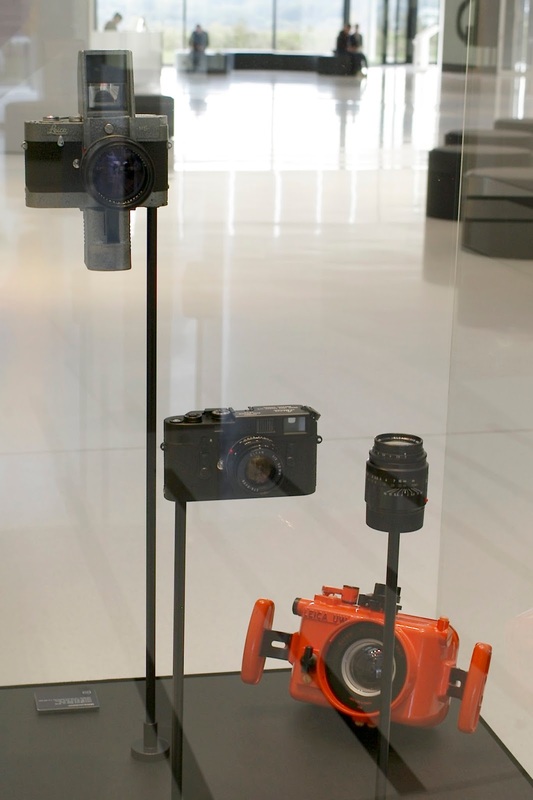 The new Leica Camera AG headquarters in Wetzlar offers a multitude of reasons for a visit. Especially for those interested in the history of the Leica a visit of the new Leica Museum is definitely worth considering. 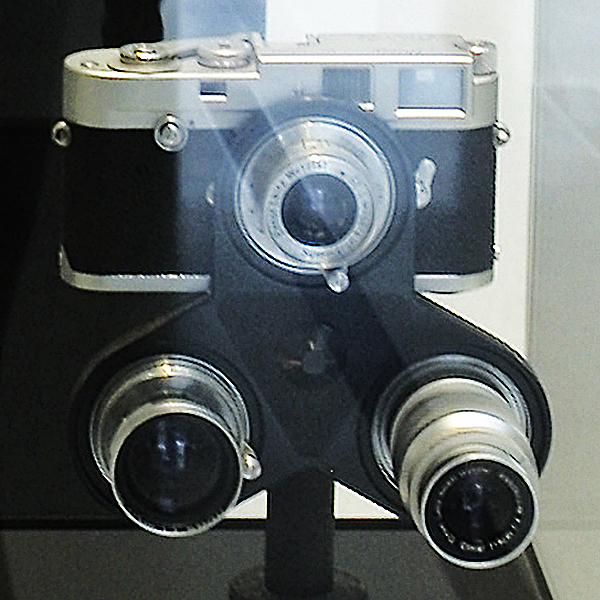 In recent years the Leica Museum definitely appeared to be neglected. I toured the Leica Museum for the first time in the early 1970s when it was still at the old headquarters in Wetzlar, where the new city hall is located now. In comparison, the exhibition of museum pieces at the Solms facility was quite sparse, to say the least. Thus it is exciting to see the renewed emphasis on the history of the Leica at Leitz Park in Wetzlar. As a matter of fact, Leica has been quite busy buying collectible pieces of Leica equipment on a regular basis. But not all of the collectable Leica pieces are on display. There is paradise for Leica fans, if only it could be visited, a room with many feet of shelves full of cameras and accessories. In October 2014, right in the middle, still not unpacked, were several boxes with all sorts of treasures. Stored there was the collection of an American Leica collector from Rochester, New York. Earlier that year, Holger Daberkow, himself a Leica enthusiast and photographer, was asked to bring the extensive collection to Wetzlar. Daberkow spent six days in the basement of the house in Rochester. About 1600 objects, from screw mount cameras to current models, had to be cataloged and packaged. In April 2014, four air cargo containers went on the trip to Germany. Four months later Daberkow and specialist Lars Netopil unpacked all the items. Nobody speaks about the value of the collection, especially since the American collector was not so much interested in the money; rather he wanted his collection, which he gathered over the span of 50 years, come home and that all the items stay together. Portions of this collection can now be admired at the Leica Museum in the foyer of Leica Camera AG. The camera collection has grown substantially, thanks to this major collection from the US. Netopil can draw from a huge number of items. 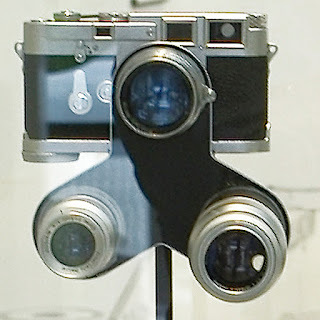 There are, for example, prototypes and experimental models, versions of military cameras, and examples of Leicas owned by famous people, such as President Eisenhower and Queen Elizabeth. The storage room includes one object which does look somewhat strange among these special cameras. And yet it is not unimportant because it is a plaster model of a Leica M that the Braunfels designer and sculptor Heinrich Janke made in 1953. Meanwhile the collector in Rochester is a bit sad now that his basement is empty. I feel fortunate to have met this collector on several occasions. I have learned a lot about Leica and its history, from him. I am not surprised at all that he saw to it that his collection made it back to Leica. But he kept some miscellaneous items, no cameras, but accessories and promotional material from over six decades. Perhaps all this will come home sometime in the future as well. All ads present items of interest to Leica owners. When we think of Leica, cameras are obviously an integral part of that. Leica will be forever connected to the name of Leitz, Ernst Leitz, the founder of the company. 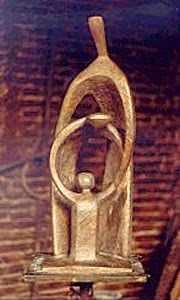 He was followed by his son, Ernst Leitz II and subsequently his grandson, Ernst Leitz III. As a matter of fact, the name Ernst and Leitz are so closely connected to the Leica camera that hardly any thought is ever given if possibly there might have been other Leitz family members that were not named Ernst. 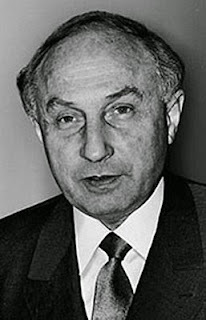 There were indeed and one of them was Ludwig Leitz, son of Ernst Leitz II. He was born in 1907. He studied math and physics and in 1939 he took over full responsibility for the entire area of development of his father’s company. Under his leadership many patents and design innovations of the product line of the Leitz company were developed. 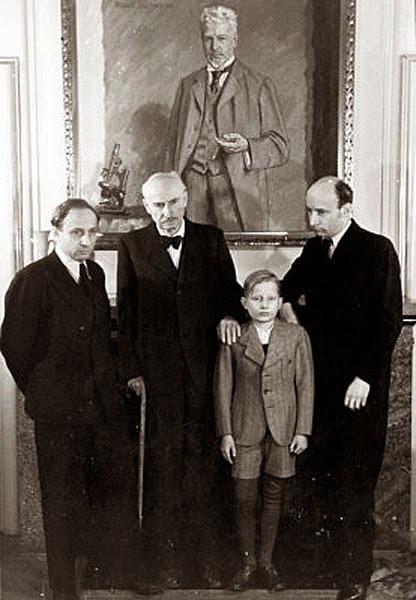 and grandson Knut in front of a portrait of the company founder Ernst Leitz I. He was an avid photographer and accompanied the development of the preproduction cameras, the Nullserie and the further development of the camera until 1980. His artistic orientation strongly influenced the design of many of the Leitz products. He even hired the sculptors Adolf Great and Heinrich Janke to to work for Leitz. 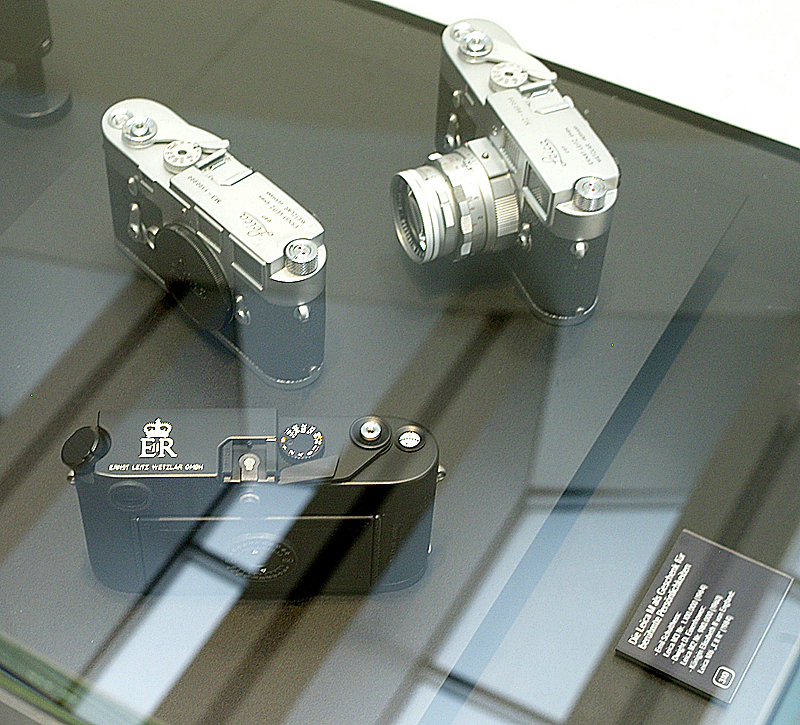 The high level of design showed particularly in the development of the Leica M series cameras. Their basic design survives until this day. This interest in design did not happen by accident. In addition to the study of mathematics and physics Ludwig Leitz graduated in 1926 at Wollek in Vienna and 1927 as a student at Johannes Itten in Berlin. This was more often than not done in the evening hours until he finally finished his training as a sculptor. Although his artistic work often had to take a backseat to his job responsibilities, he pursued the development of contemporary art with a keen interest in. Sketches, models and bronze casts of the sculptural works of Ludwig Leitz document his artistic aim of identifying the essence of the form of the random appearance of things. 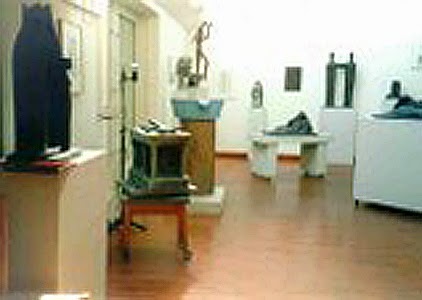 A special experience for art lovers is a visit to the "Atelier Ludwig Leitz", which opened to the public in September of 1984. Last year the Atelier Ludwig Leitz had a showing of a special selection of his work in commemoration of the construction of the reception building of the Leitz company 60 years ago. Today this building is the “Neues Rathaus” (new city hall) in Wetzlar. a large staircase which used to be the way to the original Leica Museum. The work of Ludwig Leitz can be seen at the Atelier Ludwig Leitz at Laufdorfer Weg 33 A.